TORQUAY, United Kingdom — UKIP members including a Young Independence activist and a member of the London Assembly described their shock after members of a protest picketing the party’s conference made remarks to them apparently based on their race. 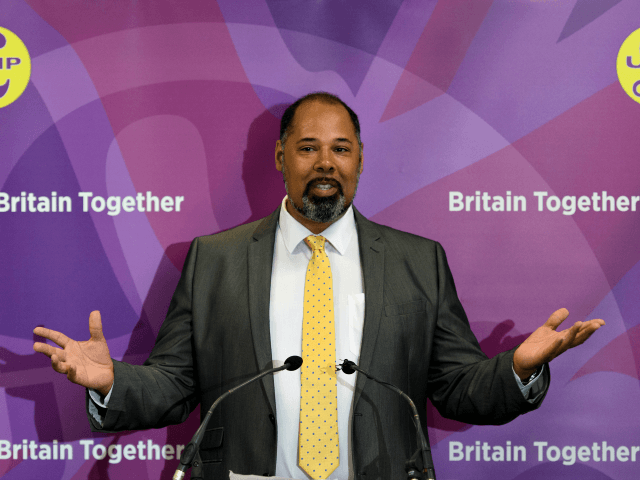 London Assembly member and former party leadership candidate David Kurten told Breitbart London that a member of the small group of counter-protestors who stood outside the conference entrance told him “you should be ashamed of yourself” for being a UKIP-supporting member of an ethnic minority. Mr Kurten was a science teacher before entering politics and is UKIP’s education spokesman. Jake Painter, a young UKIP activist took to Twitter to describe the racial harassment he had experienced from the protest, and confirmed to Breitbart London a counter-demonstrator had walked up to him and said he needed to “stand up for his own race”. He told Breitbart he was “shocked” by the comments and the fact the protestor believed he shouldn’t be a member of UKIP because of his racial identity. The group outside the protest who chanted slogans including “say it loud, say it clear, refugees are welcome here”, and “evict UKIP”. 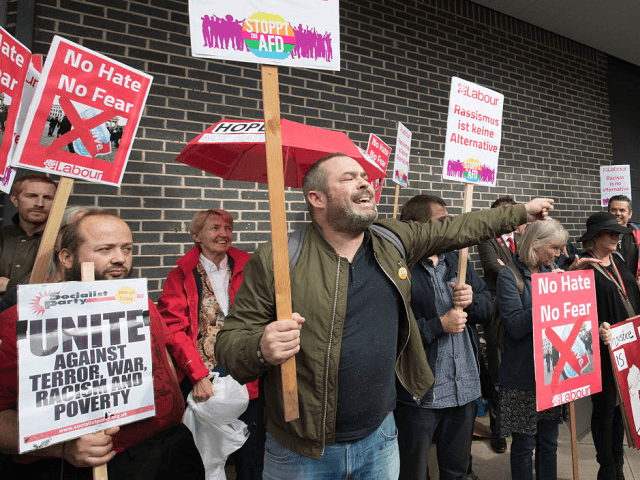 Many held Labour party and Hope Not Hate placards, some of which were written in German in anticipation of an Alternative for Germany (AfD) guest speaker Friday afternoon. Although it was said the protest was made up of concerned local activists, during the event a UKIP supporter was heard to shout “learn how to speak English” after members of the left-wing group mispronounced the name of the town they were campaigning in during a chant. The protest came just hours before UKIP announced their new party leader, Henry Bolton, at the annual conference in Torquay, south-west England. A former army officer, the election of the security expert was welcomed by former UKIP boss and Brexit leader Nigel Farage, who called him a man of “real substance”.